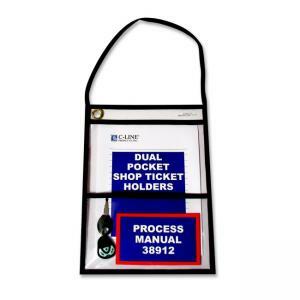 Shop ticket holder keeps documents and small items safe in two pockets. Large 9" x 12" pocket holds papers, catalogs, schedules, lists and more. Use convenient strap and eyelet at top for hanging. Durable, heavy-duty vinyl pocket has a flap with a hook-and-loop closure. 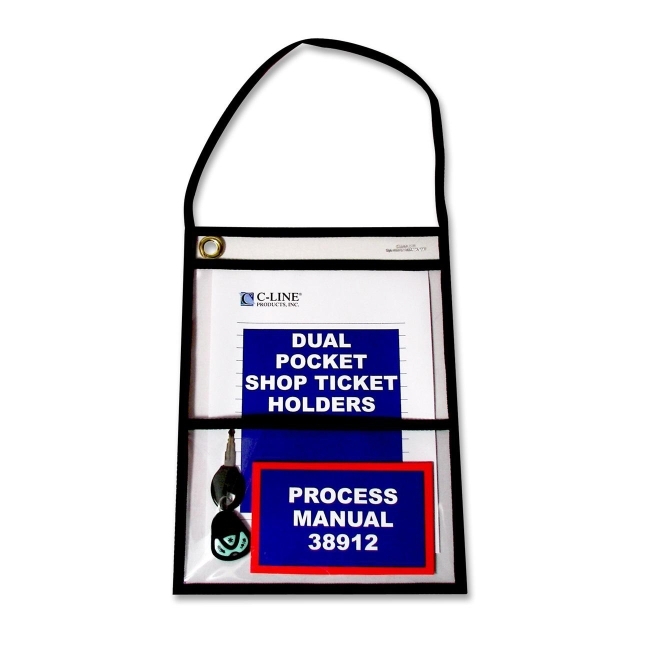 Strong, rigid, clear vinyl allows easy visibility of documents. Reinforced stitched edge offers durability.